We then worked on displacement before throwing the fouette in savate…one two straight punch combo followed by displacement fouette or displacement fouette, chasse or just displacement chasse. Next out came the navaja trainers. We worked on a simple counter cut defense to a straight thrust and also defesne against having your knife hand grabbed. We finished hte session with David working with Jo on some boxing and Jason and I doing some tomahawk (David also joined in here). Basic cutting pattern,g rips and a whole lot of talk and work about binding, getting stuck and what to do about it. rounds of boxing and savate plus an introduction to knees. We ended the Wed session with a reintro into Footpad and Cane style shillelagh work. Chris then took us through some nice work clinching and against the wall. We then went through the 9 offensive stick actions with the shillelagh from Footpad and the Cane. We ended the session with some work using the sparth axe…basic wards and a few defenses from common attacks. Sparth axe is a summer weapon since it is so large, nice to get swinging it again…I am reminded why Galloglass we all big guys. We went over a few things from Rec Violence such as the slungshot material and some of the Shiner style Irish stick to start the session. We then worked on a lead shoulder feint into a side step uppercut of shovel hook to the body. Also a jab, hammer fist to the ribs, hook to the head. We finished up the striking with some work on the jab/jolt including more feinting and a few methods for power generation and how and when to use them. And the Perednyaya podnozhka. 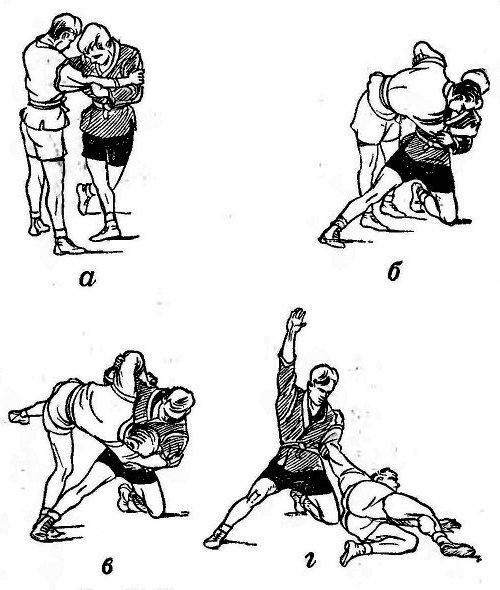 Which will be familiar to some as a Tai Otoshi or front body drop. (Kirk, do not try this at home). Chris then brought in his asp and knife from his belt (new LEO) and we went over a few things including a few striking patterns and the bastoncello as taught by Allen Reed this year at Rec Violence. 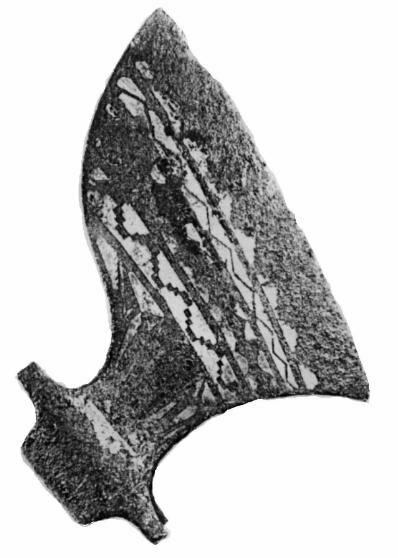 We looked at his knife, a strange forward curved blade that looked somewhat like a cross between a push dagger and a carpet knife. So how best to use this? Well I just cleaned out a freezer and found a nice big freezer burnt pork loin that was just screaming to be slash and cut apart, so out we went with some cord to hand it with, Chris’s knife and my semi-new gaucho knife. As a final kicker for our session, Chris and I moved a clawfoot tub for my wife. After missing last weeks session due to Easter and having the flu this week, it was really great to get moving again today. Just Matt and I this time around. On with the jackets for sambo…. 30 minutes or so working into and from the Georgian grip. 2 rounds of freestyle sambo. 1st live grappling in 10 weeks. My thumb is still screwy but hurts much less than even just last week. We pulled out the longswords and did a little work on absetzen then some easy bouting trying to work this concept in. We ended the session with 2 bouts of Footpad and Cane style Irish stick work. Super tardy posting this week. Thumb injury 8 weeks out…still pretty swollen and messed up. I am predicting that it will remain so forever. 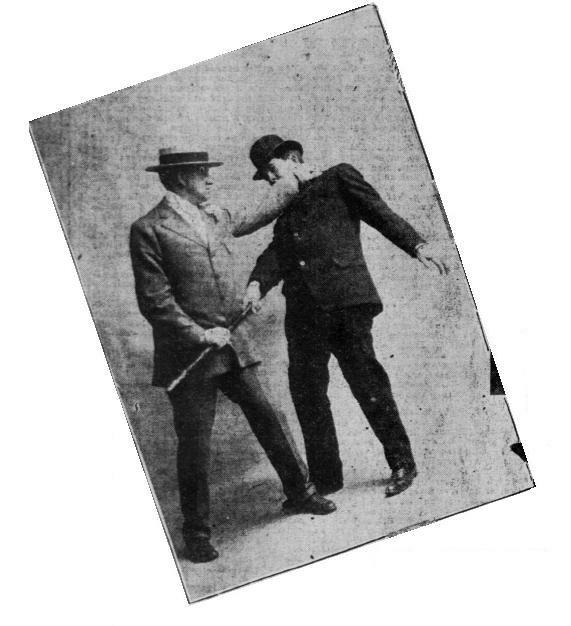 We finished up the session with each of us having four bouts in the Footpad and Cane style of shillelagh work…there was some mixing with our standard shillelagh method but for the most part we stuck to this more thrust oriented Combative form. This was out first bouting using this method and I have to say that for a first outing it went well. The style and some of it’s particular methods we recognizable with some clear distinct technique being used. Will have to do this again next week. So what are you folks doing out there? I am genuinely interested…I can’t steal your stuff if you keep it to yourselves. Gave my thumb a rest from pugilism this week and went right into some sambo. You tube is a great learning and sharing tool. We also went over our hand to leg attack series and Russian tie series. Chris the took us through three wrestling take downs from a one handed neck tie up. We hit a little neck crank and well. 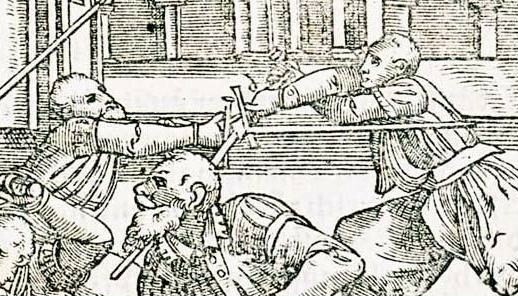 Since there has been some interest, we picked up where we left off last week on German longsword discussing wrestling and kicking in relation to the sword and working on krumphau this week. Likely we will do a short session of ringen next week along with more sword. We ended this weeks session with the Footpad and Cane material again. Very simple attack and defense with an interesting striking exercise thrown in for good measure. I thi k next week we will begin some light bouting in this style. Mats were still out from last session so we jumped right into some sambo before boxing this week. We worked a four stage progression/series of hand attacks to the legs. The first three were a progression of failed attacks and the fourth was a variation. The first of these can be seen here:DRVpEdpbAmM Igor does them much better then we did. We ended out grappling with some work on the combat glima high single. 2 rounds of boxing…able to slip a boxing glove over my slowly healing busted thumb. Six weeks later and it is stil pretty fat but overall pretty happy to get to throwing fists again. Beautiful day so we headed outside and worked on the much neglected German Longsword after a short bit of training with the messer. Basic stance and attack work. Focusing on form and movement. We ended the session with some Footpad and Cane style shillelagh work. Very simple style but still interesting. We went over all stick vs stick actions from the short text. Getting closer to bouting pure FaC style.